CRM solutions like Microsoft Dynamics CRM and Salesforce are not just for business. Ledgeview Partners is guiding Higher Education Institutions across the nation by providing our extensive experience and expertise to unique challenges and opportunities ranging from recruitment and marketing to student success and community engagement. Ask us about our experiences with Higher Education Institutions and we promise this lecture won’t be boring – but one that has the entire class engaged. Salesforce for Higher Education is the complete set of end-to-end solutions that helps schools connect to constituents in new ways, leveraging social, mobile and cloud technology. Let Ledgeview Partners, a Silver Salesforce Partner and Registered Salesforce.org Partner help you become a connected campus and transform the way you recruit, ensure student success, nurture alumni relationships, market, and engage your communities. 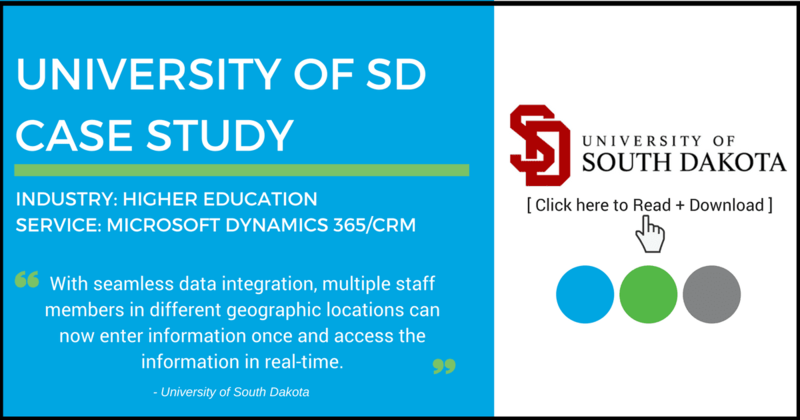 In this on-demand presentation from Dreamforce 2016, listen to two customer showcases from Arizona State University and the University of Colorado as they share exciting things they’re accomplishing across their respective campuses.